The face is the most recognizable feature of every person. It is what comes to mind when you think of someone, it is where emotions are displayed, and it is also where the signs of aging tend to first appear. Most notably, the eyes often give away a person’s true age – or make him or her look older than the person is. Blepharoplasty of the lower eyelid is a surgical cosmetic procedure that targets the eye are in order to improve the appearance of tired, sagging, and baggy lower eyelids. 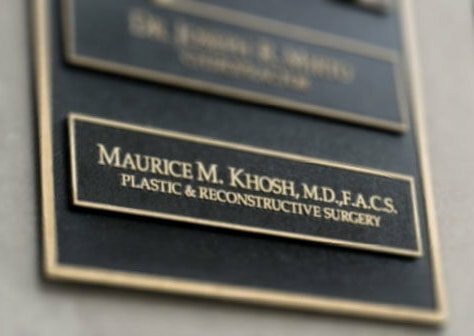 Dr. Maurice Khosh is a respected and recognized dual board certified facial plastic surgeon, who has the skill and expertise for successfully helping patients to regain confidence and a more youthful appearance. Dr. Khosh uses both skill and artistry for creating a natural result that takes years off the face. 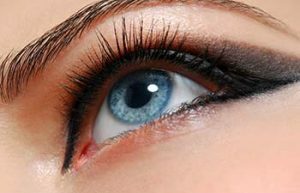 Men and women are both susceptible to loose, sagging, and bulging skin of the lower eyelids, with men being slightly more prone to this cosmetic flaw. As you age, the delicate skin of the eye area loses its elasticity and resilience quicker than the thicker skin found on most other places of the body. For some, this delicate skin simply wrinkles, but for others the skin begins to sag. As the skin sags, fat deposits begin to settle in the bags beneath the eyes and will bulge with the accumulation of fat and fluid. These symptoms cause people to look a great deal older than they are, and they also cause the look of constant tiredness and even grumpiness – all of which are unflattering. Dr. Maurice Khosh uses the Transconjunctival Approach to lower eyelid blepharoplasty. This approach utilizes perfectly hidden incisions inside the lid to avoid any visible scars. Excess fat is removed or repositioned to restore a youthful appearance to the eyes, and redundant lower eyelid skin can be treated with a pinch excision so that it no longer droops below the eyes. Dr. Khosh is always interested in restoring the natural beauty to a person’s appearance, so older photographs where the eyes are clearly visible allow him a template to work towards. 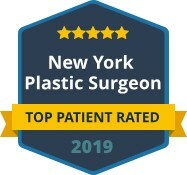 If your eyes are revealing more than you want them to, contact Dr. Maurice Khosh of Manhattan to learn more about blepharoplasty of the lower eyelid. 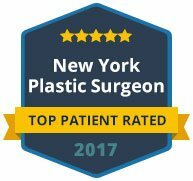 Dr. Khosh will meet with you in a private consultation to discuss your goals and whether you would like to combine other facial rejuvenation procedures for an overall enhanced result.